TCS shares opened at Rs 1,869 apiece on Monday. In intra-day trade, TCS shares hit a 52-week high of Rs 1,870.70 on the BSE. TCS share price hit a 52-week high of Rs 1,870.70 on Monday. Tata Consultancy Services (TCS) share price hit a 52-week high on Monday, after the company announced a share buyback worth Rs 16,000 crore. In afternoon deals, however, TCS share price was flat at Rs 1,840.60 apiece on the Bombay Stock Exchange (BSE). On the National Stock Exchange, TCS shares traded at Rs 1,839.90, with a loss of 0.01 per cent. During market hours on Friday, TCS had announced that it would buy back shares worth Rs 16,000 crore or 1.99 per cent equity share capital from investors. TCS shares opened at Rs 1,869 apiece on Monday. In intra-day trade, TCS shares hit a 52-week high of Rs 1,870.70 on the BSE. On Friday, the share buyback announcement had sent the shares surging to Rs 1,841.45, 2.75 per cent higher from its previous close on Thursday. Shares in TCS had ended higher on Friday as the first to close with a market capitalisation of over Rs 7 lakh crore. In a stock market filing, the company had said that it will carry out the share buyback at Rs. 2,100 per equity share. Earlier, TCS had resorted to buy back 5.61 crore shares in April 2017 for Rs. 16,000 crore at Rs. 2,850 per share. Meanwhile, at 1:19 pm, the S&P BSE Sensex traded at 35,555.54, down 66.60 points or 0.19 per cent while the NSE's Nifty50 was at 10,802.65, with a loss of 15.05 points or 0.14 per cent. 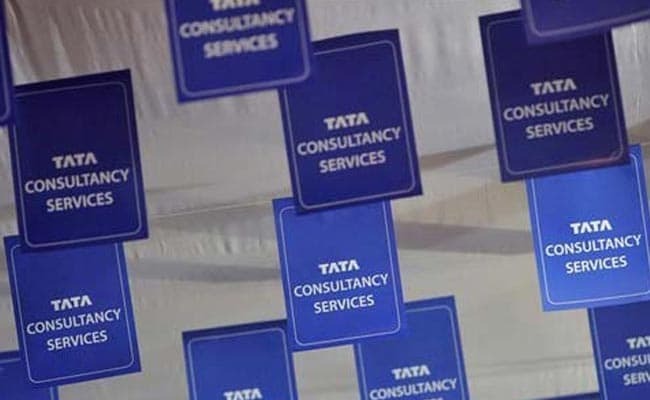 For the January-March quarter, Tata Consultancy Services reported a net profit of Rs 6,904 crore as against Rs 6,531 crore in the previous quarter. For the financial year 2017-18, the IT major registered a net profit of Rs 25,241 crore.